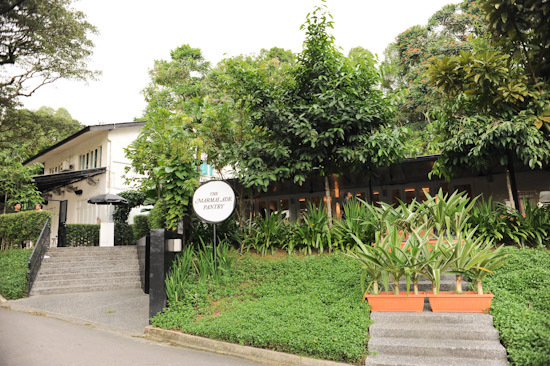 The first thing that comes to your mind when you think of Marmalade Pantry? Cupcakes, tea & probably their famous crab meat linguine. While the outlet at Ion Orchard is well known for housing tai-tais for their afternoon high-tea and weekend brunch, the recently opened Marmalade Pantry at the Stables gives a country-side feel that is more casual whilst upholding a chic restaurant image. Had the pleasure of dining with Brad at Marmalade Pantry’s second outlet that has now replaced what used to be Mimolette. It is conveniently located just beside Rider’s Cafe set in the heart of Fairways Drive where the former Turf Club used to be. We started our meal with the highly recommended Mexican Chicken Salad ($22) which consisted of grilled chicken pieces tossed with avocado, spiced corn & salsa stacked between sheets of perfectly crisped tortilla and finished with a dollop of sour cream. It was fresh, tangy and delicious. 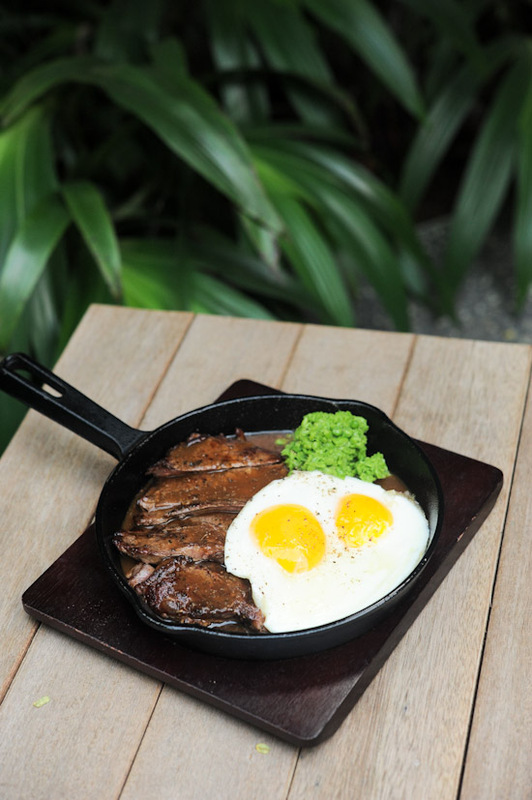 The kind of dish I would order over and over again and not get sick of. Following that came the mains. 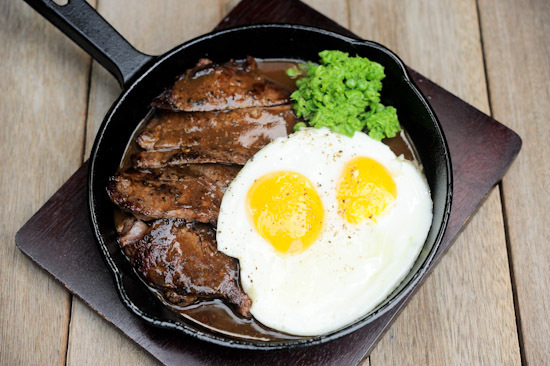 Steak & Eggs ($38) was served on a warm skillet with smashed peas & two perfectly cooked sunny-side ups. While the steak was tender and juicy, I wasn’t thrilled that the sauce slightly over-powered and muted the natural flavour of the meat. Would have preferred if the gravy was served by the side instead. Another main that was recommended was the Spaghetti Carbonara ($24) which is one of the better carbonaras I’ve tasted. 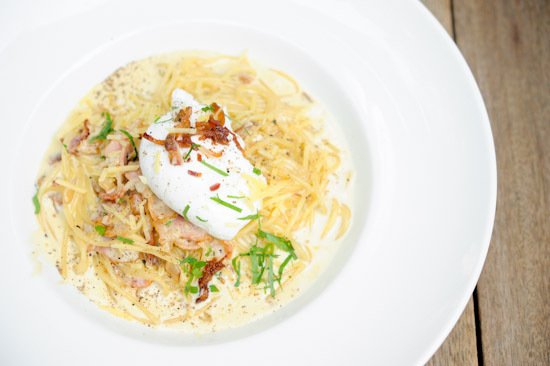 Al dente noodles tossed in a delicious creamy sauce with crispy bacon bits topped with a poached egg. If you’re a fan of cream-based pastas you will definitely enjoy this dish. 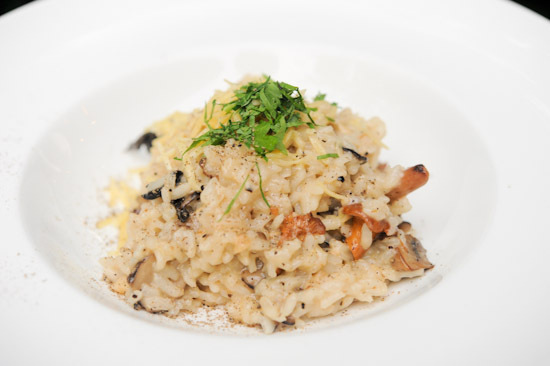 Next up, we were served the Truffled Field Mushroom Risotto ($24) that unfortunately arrived at our table over-cooked. The chef however quickly offered to prepare a new one which we kindly rejected because we over-estimated our appetite. Will definitely give that another try the next time I return. 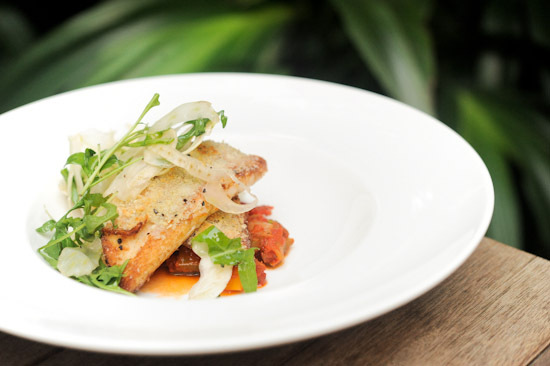 Lastly we had the Pan Roasted Red Snapper ($28) that was lightly fried in a parsley herb crust and served with hearty home-made ratatouille, shaved fennel & rocket salad. 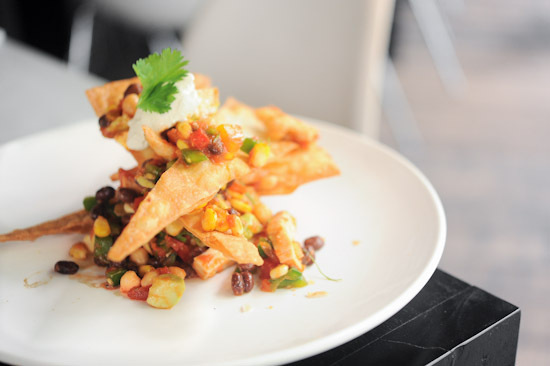 A healthier and just-as-satisfying alternative should you be craving for Fish & Chips. As they always say, no meal is complete without something sweet to end. In addition to their repertoire of signatures like their Sticky Date & Toffee Pudding and Banoffee Pie, are two new desserts that we sealed our meal with. Namely the Lemon Brulee Tart ($14) and the Granny Smith & Stem Ginger Pudding ($13). The former is basically a classic lemon tart sprinkled with sugar which is then torched to a crispy caramelized top-crust that adds extra texture and a tinge of sweetness to the sour lemon curd. The Granny Smith & Stem Ginger Pudding was light, semi-crumbly and paired well with the scoop of salted-caramel ice cream that it was served with. However, like how bread pudding would be incomplete without creme anglaise, I felt this dessert lacked a warm apple or toffee drizzle that would have tied it up perfectly. 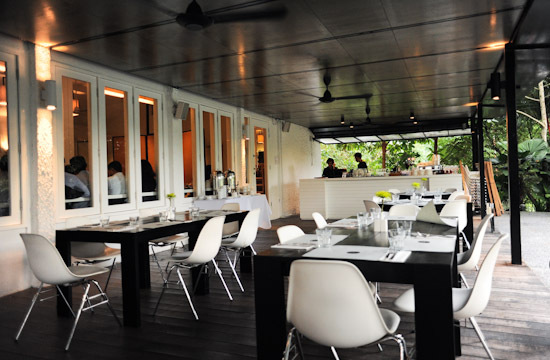 Marmalade Pantry at the Stables is a great place for a good meal if you wish to escape the city for a relaxing, quiet night out. I look forward to coming back to try their brunch menu. Oh, and we got first dibs that they have plans in building a tree-house behind their establishment. So especially for parents who are always on the lookout for kids-friendly restaurants, you know where your next dine-out spot should be. I just read your post and immediately called in from Brunei. I’m heading there tomorrow after calling them for a reservation. Luckily there was availability. Plus, I am excited to see horses too and eating brunch in Singapore.